JUARISTI introduces at the BIEMH exhibition, the new TX3S T-type high performance boring and milling machine. 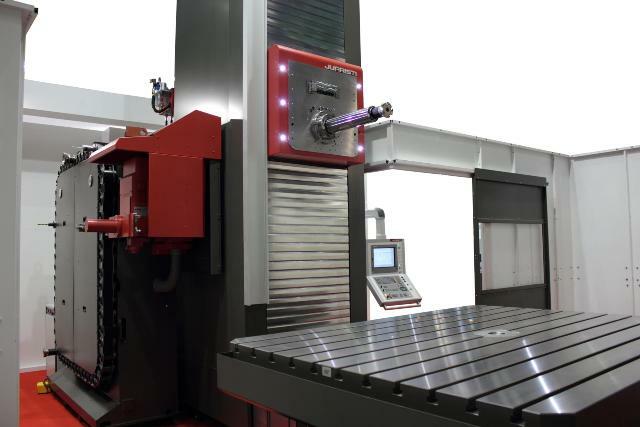 The headstock is centered in the symmetric column with 4 vertical guides, achieving an unbeatable behavior in accuracy and high cutting capability with a 46 kW (S1) spindle motor able to reach 3000 Nm as maximum torque in the tool. Its high dynamics, 30 m/min rapid feeds, allows the use of high-end tools with big chip removal rate capacity.